Happy Halloween Everyone! This is such a fun holiday and probably my husband's favorite. 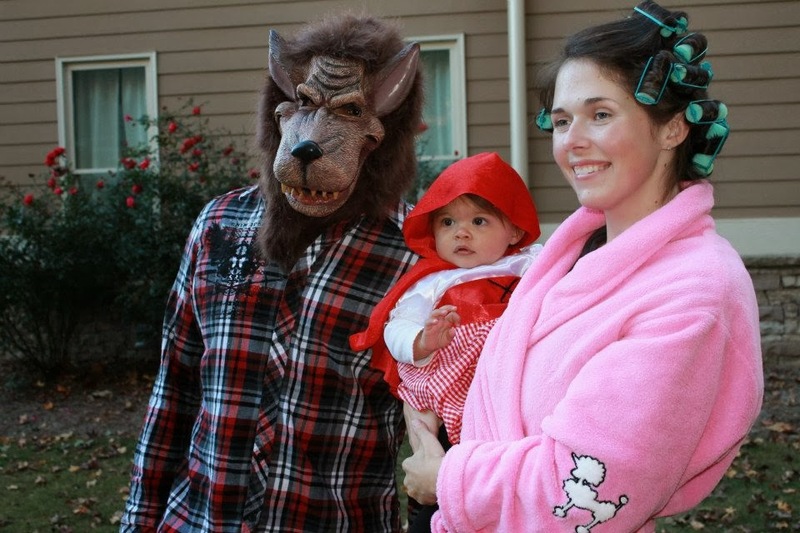 We decided not to go all out on ourselves this year, but next year when both kids are walking it is on and popping, lol. 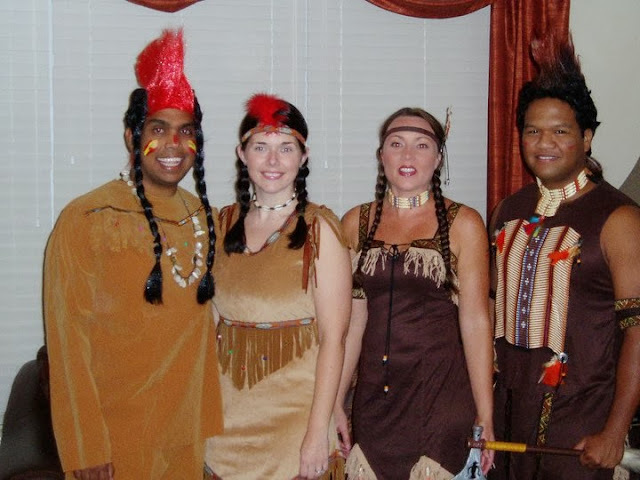 Here are some pictures from past Halloween's. Hope everyone has a safe and FUN Halloween! 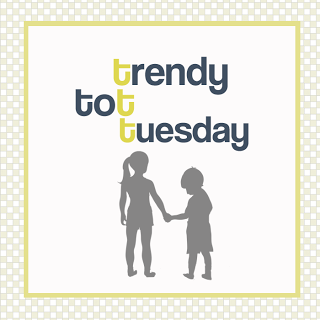 This week I am linking up again for Trendy Tot Tuesday with Kelly to show off my tot. Did I mention she scored tot of the week!!! YAY! Proud mommy right here!! This weekend was her 2nd birthday so here are some pics of her birthday style this weekend. It was all about her personal style which is fun & comfortable and MUST include a coordinating bow. Today, I officially have a 2 year old! My dear sweet Gianna, oh my goodness I cannot believe you are officially two years old today. I remember the day you were born like yesterday. You changed our lives in the most amazing way possible. You are such a beautiful, amazing, smart, funny, silly, intriguing little girl. It seems like we just got done celebrating your first birthday and now you are turning 2. You have changed so much this passed year. From the physical things like you getting so much taller, filling your mouth with teeth and your long beautiful hair to the full sentences coming out of your mouth. You became a big sister this year and you are the best big sister ever! You have handled sharing your world with your baby brother so gracefully. You love him so much and I can already tell how much he loves you. You started pre pre school and you are excelling so much! Your teachers are constantly telling me how you light up the room and have a great attitude about everything. It makes mommy smile (big!). You also started ballet which you are absolutely loving and oh my goodness you look so cute doing it! You swam under water for the first time this year! Big girl!! Felt like eternity for mommy, but it was only about 5 seconds. You can dribble a soccer ball, throw like a champ, you LOVE to color, sing and dance! You will not sleep without your pink teddy bear and your purple, pink and white blanket...no others will do! Everyone is constantly saying how you are so spunky and have such an awesome personality, of course mommy and daddy agree! You LOVE pancakes, bananas (still), ICECREAM, strawberries, cheese, french fries, broccoli (I hope this continues), peas and noodles. You are still a daddy's girl and if you take after mommy like you do with everything else, this will never change. You are still a great sleeper (Thank you Jesus!). 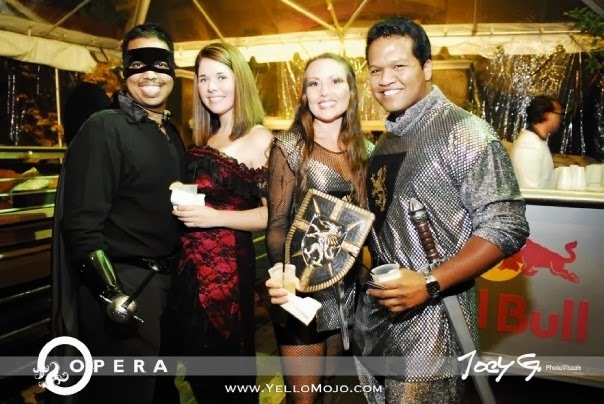 You love to watch Princess Sofia, Mike the Knight & Dora. You just started fighting mommy and daddy about sitting in the high chair (uh oh). You love the playground and you have your very own now! You are a girly girl, you must have your bows in your hair always, even on rainy pajama days or days you aren't feeling that well. Mommy loves you so very much (and Daddy too!). I love more than anything in the world watching you grow up. I have so many hopes, dreams & even fears for you. I just pray to God I can be a good example for you, stay around for you, keep you healthy, happy and safe. 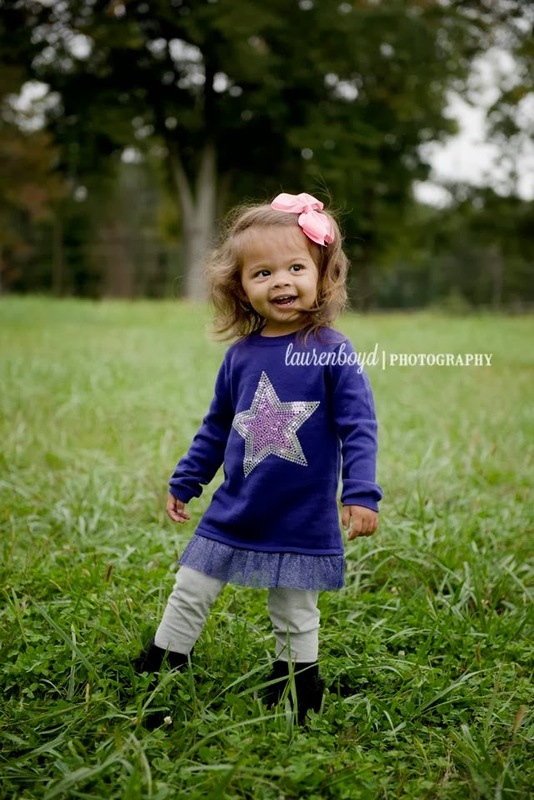 I pray that you continue to be a confident little girl, loving, smart, sassy and brave! I am so thankful to have you in our lives and to be your mommy! I am excited that daddy and I took the day off and we get to spend the whole day with you enjoying your special day, which is always one of the most special days for daddy and I, because it is the day we got to meet you! We love you to the moon and back!!! 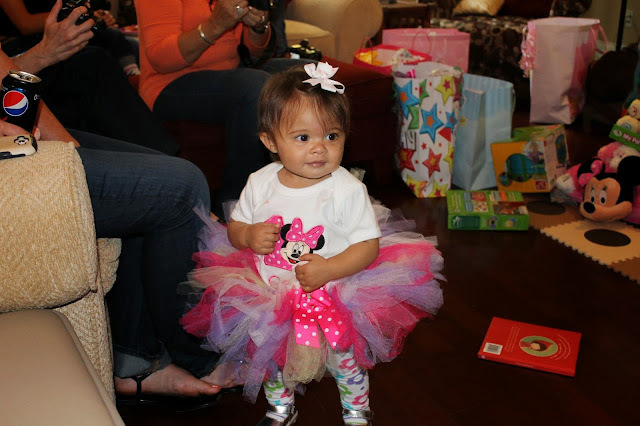 Happy 2nd birthday my little Princess! 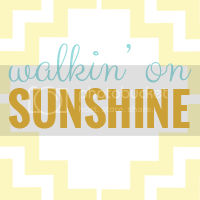 It's that time again, linking up with Darci for Five on Friday! I got to have dinner with my best friend and her kids Monday before she returns to New Jersey. Gosh I miss her. We celebrated our little girls birthdays since they are about 1 year and 2 weeks apart. Our boston terrier, Otis turned 4 this week so we celebrated with icecream from Brewster's even though it was quite cold here in Georgia this week. Fall has officially joined us! Today is Gianna's Halloween Party at School- I made these for favors for her birthday party this weekend and thought why not hand them out here too?? Cute idea - Smore Fun to take home!! She is only 2 so doesn't need that much candy, so I thought this would be a fun treat. I went with this last minute, so the labels are from her birthday, excuse the lack of Halloween Festiveness in them. Also, we are giving her teachers apple butter from the Apple Orchard we visited a couple weeks ago. Also using this as a chance to link up with Mandy for some fun inspiration this beautiful Friday! 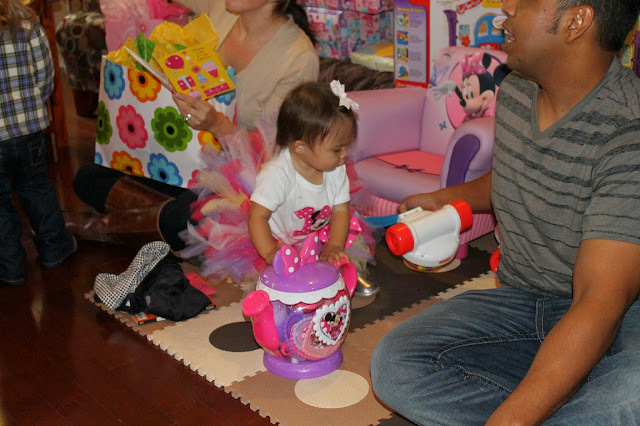 Our little girl's 2nd Birthday party is this weekend, wow! Tear, Tear. She is growing up so fast. She is amazing!!! It will be at a local farm and it supposed to be sunny but chilly. brrr!!! So my birthday is coming up and I am deciding between the new Ipad Air or the 2nd generation mini. Hmmm, decisions, decisions. Any input? 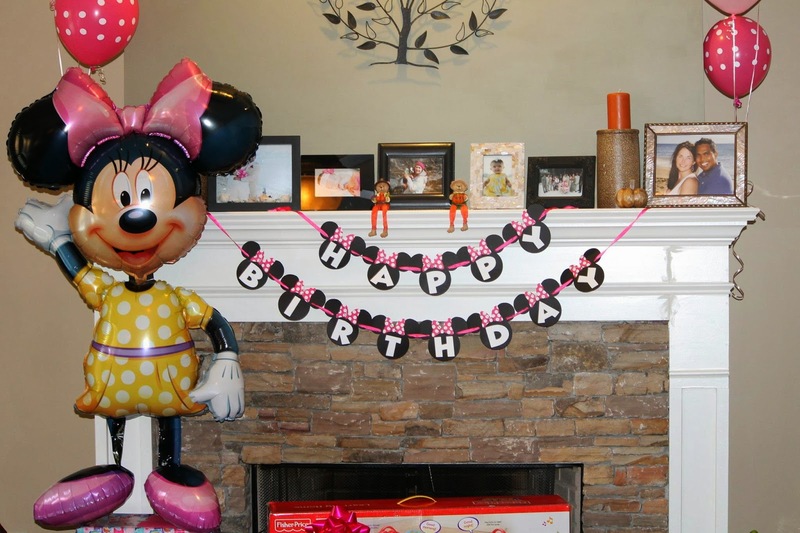 My daughter will be having her 2nd birthday party this weekend and it seems like just a year ago we were throwing her minnie mouse themed first birthday bash. My how much she has changed this past year. Love her to death! Ok, so I have been contemplating on wether or not to write about this, but there are so many people talking about it and it does hit close to home with me so I feel like I have to...and I am going to warn you this is going to get long. There are always going to be people who judge you, people for judging you for taking this time to yourself. People who judge you for the way you dress your kids, what you feed your kids, what you look like, where you shop, what kind of car you drive, if you breast feed or formula feed and so on and so on, but when people get nasty, that's a problem. Maria Kang is the mom of three, approximate ages of her kids are 3, 2 and 10 months, who posted a picture on her facebook page of herself in workout gear with her kids and the message, "What's Your Excuse?". Keep in mind her facebook page is a page promoting her FITNESS blog. Her whole page is about fitness people! So after posting this picture, people ripped her a new one! People are calling her a bully, saying she doesn't spend enough time with her family, saying she is a disgrace to mother's, insinuating that she doesn't take care of her children or work and that her stunning figure is all due to genetics. Oh my gosh people, you are ridiculous, I can't even begin to describe how ridiculous you are. Personally, I am a mom who works full time, who takes care of my household, my family including my husband and most definitely my children, but I also try to take care of myself like Maria Kang. Sometimes I struggle with my fitness, I eat my fair share of "terrible for you" food and that I continue to struggle with. I do however enjoy getting my workout time in. After Gianna I struggled with committing enough "me time" at the gym, rather rushing home after work to spend time with her. I committed to myself that after Miles I would do better at this, making sure I get that time in, because a happy and healthy mommy equals a happy and healthy family and to be able to instill these healthy habits and lifestyle on my children is so valuable. I have done a pretty good job since returning to work. I have my routine down. Monday & Tuesdays are my free cardio days. Walking or running either outside with the kids in stroller, at the gym or at home on the treadmill. Wednesday's are bike class day and I usually bring Gianna to play at Kidsplex while I spin! Thursday is all about Hot Yoga! Miles and Gianna come with Allan and I on Thursday's. Friday is off and Saturday or Sunday I like to get a long run in by myself to reflect. Have I missed a class here or there, because of the fair or a sick child? Sure, but overall I am committing myself to maintaining this schedule. Why? Because I enjoy it, it keeps me sane, it keeps me fit, it keeps me healthy and happy! Will I ever look like Maria Kang? Hell no! She looks amazing!!! I can dream of looking like that, but probably never will. Why? Because one, I am not ready to commit to the healthy eating that she has adopted. I wish I could, it is my weakness, I hope to improve on it, but being honest, I don't ever plan to completely give up french fries or ice cream, even for a week. Two, I probably don't put in the same amount of gym time. I am good with 30 minutes to an hour, but I do put in some time and for me, that is my goal (for now). You get what you put in people. Maria Kang puts in a lot! As she states on her blog, she is the physical result of "dedication, discipline and desire." Do genetics play a role in fitness? Of course they do, but that is definitely not the only factor or the biggest factor! As women we are constantly comparing ourselves to others. What cars we drive, what clothes we wear, our purses, our children's milestones, the parties we throw, our marriages, it is constant and never ending and yes it is sad, very sad. I read this quote on Maria Kang's website and I love it, "Comparison is the thief of Joy." This is so very true! Maria Kang puts a ton of work into looking the way she does, she works hard at it, but in no way what so ever is her clean eating or working out a factor in her mothering. Just because she is a super fit mom and wife doesn't mean she isn't excelling in those other aspects of her life as well. Every one of us is different, we have different jobs, have different salaries, have different life styles, have different goals, have different struggles and so on. Some of us struggle paying the bills. Others have worked super hard and can take their kids on extravagant vacations or buy them very expensive clothing. Does this mean the ones who are struggling didn't work hard? No of course not, they may have gotten laid off or have a different struggle, but it shouldn't lessen the ones who are doing well and want to provide these things for their children. Some people come from money, great, jealous? Yeah maybe a little, but hey, lucky them! Some of us chose to stay home with our kids. Some chose to work for reasons other than to pay our bills. Some work to pay bills. Some of us drive fancy cars. Some of us are super hot after having kids like Maria Kang, some of us struggle with our weight. Some of us are naturally skinny (and lucky). Some are average and overall ok with that. We are all different people! Can you admire Maria Kang for looking the way she does? Hell yeah! But why, oh why must you bash her. We have all felt jealousy, I have felt it, I know what it feels like. I have felt it for the people who come from "family money" and have it all. I have felt jealous of the naturally skinny mommies who bounce right back after having babies or the women who can get pregnant after 1 month of trying while I had to do IVF, pay a fortune and take shots every day to get knocked up. Yes, we have all been there, it is a normal emotion, but instead of publicly bashing another person you should really tap into those emotions. Obviously, there is a deeper issue there. Maybe if you feel so much anger over Maria Kang's picture you are struggling with your own self body image. I mean hell, aren't we all?! I know I do, but I am smart enough to know that what I put in is what I get out. If I want to look better, I need to put in more work wether it be healthy eating or time in the gym. Today I am linking up with Kelly again for Trendy Tot Tuesday!! 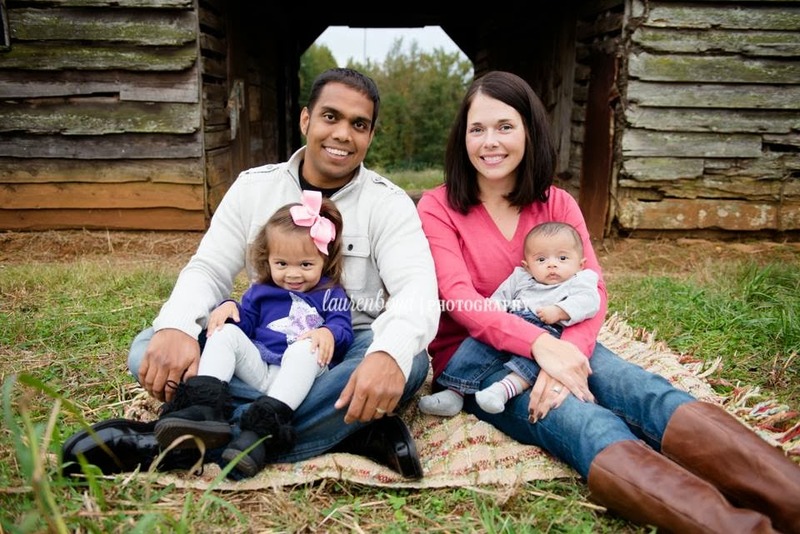 Here is a sneak into our fall family pictures we took last week as well as my sweet, little trendy toddler who will be 2 this time next week! ahhh, slow down time! And let me tell you this little princess of mine is a total ham. She has been really sick this week and 1 morning she was super cranky so we deemed it "pajama day" and went to brush her hair and she turned her frown upside down to say "bow, bow mommy!". Yes, bows go with all outfits around our house! 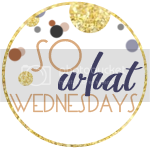 This week I am linking up again with Becky to talk about strengths and weaknesses in marriage. We all know marriage is work, marriage is HARD work! We all know that many marriages don't last and many do, so to be one of the ones that do, you have to work at it and never stop working at it. We all have weaknesses, but we also all have strengths and just like with your career or your friendships if you recognize them, take constructive criticism, learn and grow from your mistakes, then your marriage will benefit. You can find some more interesting facts about marriage here. So I have only been married for about 4 years, I am by no means an expert, but I am learning and growing each and every day from being married. Some days are harder than others and in the 4 years of my marriage we have definitely had some difficult times. One of my weaknesses is the fact that I say things I don't mean. I have always done this and it is a major downfall of mine. I have been trying to work on it over the years, because I absolutely hate that I do this, but for some reason when I am hurt a trigger goes off and this is my way of defending myself. This is a bad way and not at all good for my marriage. It is a continued effort. Another one of my weaknesses is my lack of the ability to forgive. I am not a forgiving person, most of the time I will write a person off without question. Well, obviously, in marriage you can't just write your husband off for every fight or argument you have. I do forgive and move on, but I remember and inside I do hold grudges, again, working on this and I know it can't be good for my marriage. My husband and I both need to work on setting the scene for romance in our marriage. We fell in love and moved quickly and had major sparks, but quickly after getting hitched we started trying to have a family and it wasn't all "fun" for us. We had problems, went through shots, pregnancy, having a newborn, more shots, more shots and then another newborn and now 2 kids under the age of 2. With all of this it has caused stressful times, but more it has created amazing times, the best most unimaginable moments and we wouldn't trade them for the world. But...with these moments, we have lost a little of the romance and just been focused on the day to day. This is so majorly important to me I can't even begin to explain, but unfortunately a weakness the husband and I both have is implementing this. I have strengths too, I think. I think I do a good job of balancing a lot. I work, I sign the kids up for activities, keep up with their schedules, pay our bills, shop for kids, get groceries, make sure the kids have diapers, formula, snacks, lunches packed, college funds, we have life insurance, christmas gifts are purchased, plan family pics, etc. I do a lot. I am a planner. I would like to think of that as a strength. Another strength is my ability to love. I love full heartedly, I would do absolutely anything for my family. One of the things I think is cool in my marriage is that we have a lot in common, but we also have even more things that are opposite, or balance each other out. Many of our strengths and weaknesses are opposites and I think that is going to help our marriage succeed as long as we focus on the positives and work together. My husband is outgoing, daring, very forgiving, somewhat of a complainer, go with the flow kind of guy. I am a planner, terrible at forgiving, cautious, more reserved type. I love the way we balance each other out and I hope we can use our strengths and weaknesses to instill the best traits in our kids as well. I have a lot of faith in my marriage, I know that we have a long ways to go to improve our marriage and it will always be a work in progress and I pray each and every day that we continue to work at it, because as long as we are working at our marriage, our marriage is improving. When you quit putting in the work, that is when your marriage stops working. Don't be fooled, successfully married couples face challenges, too. They've just learned how to work as a team to overcome them. If condemnation is your chief tool to get improvement from your spouse, you may get what you want short-term, but the oppressive behavior will weigh on your spouse and hurt your marriage. Praise the good, point out the opportunities for growth, and pray about it all. Taking the high road with your spouse may not satisfy your desire for revenge, but it will assist your marriage. 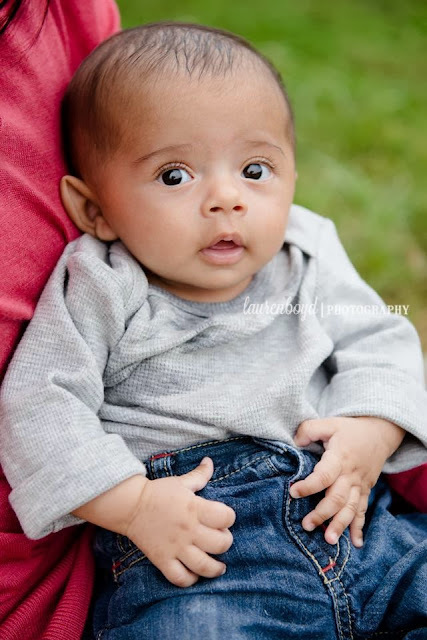 TODAY my sweet baby boy is 4 months old! Sadly, he will be going for shots, but we also get to see his growth and that is always exciting. We feel so beyond blessed to have this sweet boy in our lives. He is such a trooper going out and about every week to Toddler Tales at the Library, Ballet Saturday's, Pre School drop offs and pick ups on Fridays, the Fair, the pumpkin patch, multiple apple picking sessions and more! 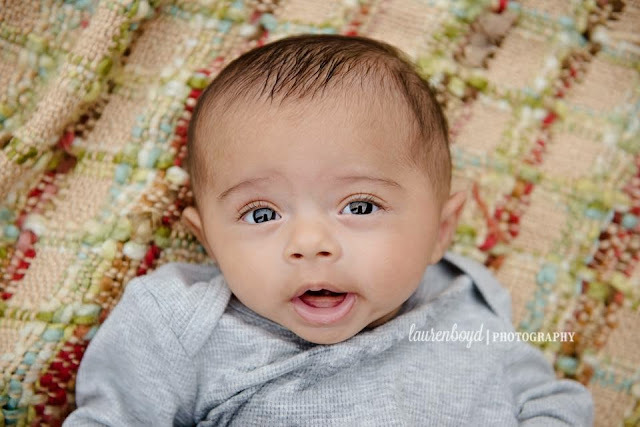 His big sister will have to thank him some day for being such an amazing baby brother! Oh...and have you seen what my cute baby boy does with his toes while sleeping...? The cutest thing ever!!! 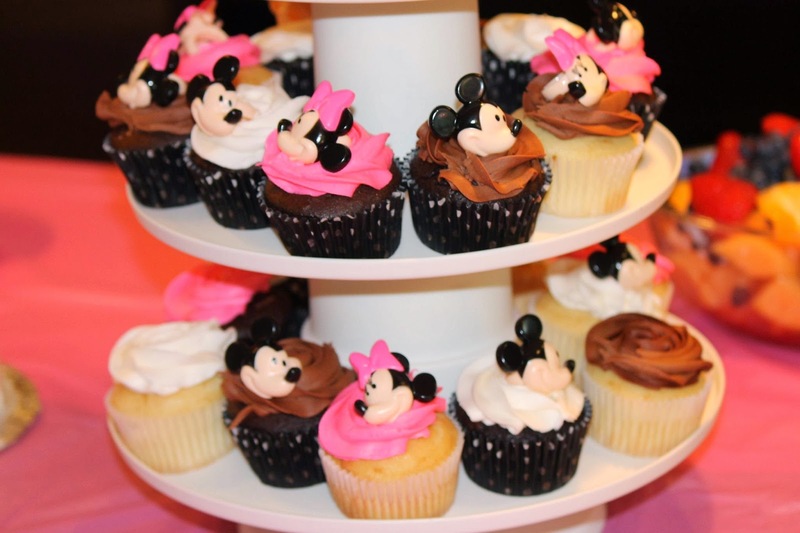 I have a sick toddler at home whose 2nd birthday party is next weekend, she will be making a trip to the doctor this weekend too and hoping and praying we get her better while not getting baby brother and everyone else sick. Yesterday I ran to Kohl's and did some Christmas shopping. I got so much for so many people, spent $200 and saved over $400 AND...get this, I got $40 in Kohl's cash. This is how they trap us people!! But, I got a new Christmas tree skirt a dance studio for our Christmas village, tons of toys and some kids clothes so I feel like it was a successful shopping trip! This week we had our 2nd neighborhood pinterest party and made painted faux pumpkins. The Pumpkins turned out cute, took less than an hour, were super cheap and the best part...we can put them away and re use them next year. Mine isn't the greatest, the paint I used to fill in my "C" wasn't the right choice so then I had to try and "fix" it, but it is cute, I like it! Glad we don't have too much going on this weekend. 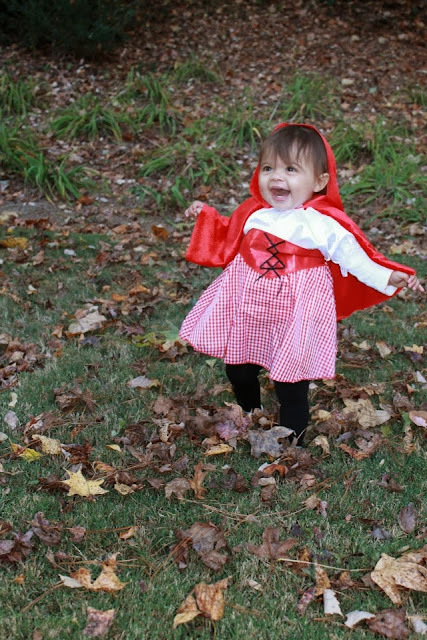 I am planning Gianna's preschool Halloween party for next Friday along with her 2nd birthday party for next weekend and I would also like to get in a long run this weekend and make an apple crisp. For those of you who read my blog, you may or may not know that I am a full time working mommy of 2 kids under the age of 2. 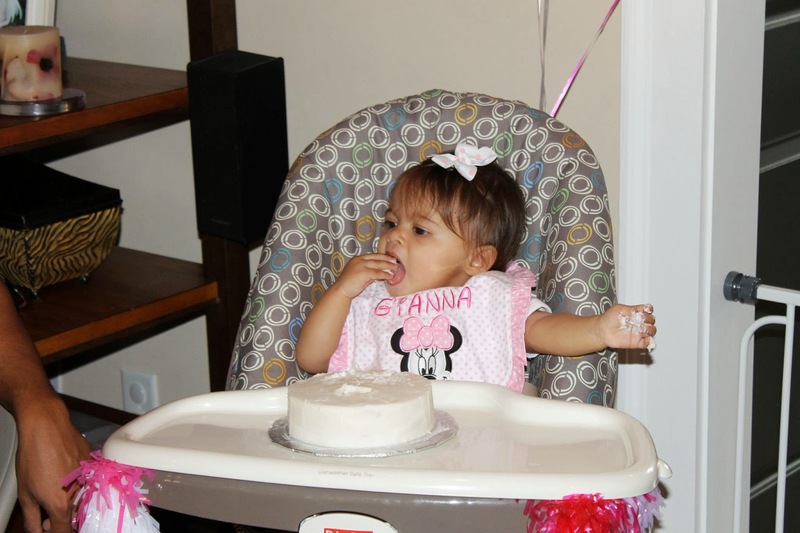 When we had Gianna, my almost 2 year old (holding back the tears) was put into a very nice day care at 3 months old so that I could return to work. We had several recommendations to this daycare, it was a small class and not to mention, very expensive. In the course of the next 3 months of her life, she had croup 2x, a constant cold and mommy had the stomach flu (full blown) 3x and both mommy and daddy had lingering colds. Ok, I know, it is to be somewhat expected, however, we really were not liking the sick part. We decided to offer my mom the job of being our kids full time nanny (& Granny of course) as she was not liking her job and commute and she was a teacher, so duh, made perfect sense. We took Gianna out of daycare and immediately we all felt the relief. Since then she has been one healthy little girl and mommy and daddy have been feeling so much better too. This year, we had Miles and decided to put Gianna into pre pre school for only one half day a wee in hopes since it was mothers morning out and obviously the parents had someone there to pick their kids up mid day they maybe would not send them to school when they are sick. Well, a couple weeks in we get a letter that their is hand, foot and mouth in the class. YUCK! Whew, thank God she managed to not pick this round up. Oh and recently my facebook has been FLOODED with moms posting their kids have the flu, or hand foot and mouth, or a double ear infection, yikes! I am so grateful that we have an alternative to full time day care, because as a working mommy I know it is difficult to take off when your kids are sick, but I just hope we can keep our kids healthy and ourselves during this sick time. However, yesterday she had a runny nose and woke up with a nasty, nasty cough this morning. I am hoping a cold is all it is. Again, I know with kids it is expected for them to get sick, I am just hoping to get through this sick season without any major sicknesses especially with a newborn in the house again. So now we work on getting Gianna feeling better, especially before her birthday party and my husband gets the "wash your hands for 20 seconds throughout the day" drill. Oh, and the vitamin C, we LOAD UP on that stuff! For all you mommies out there, I hope you and your kiddos make it through all these nasty bugs going around also! 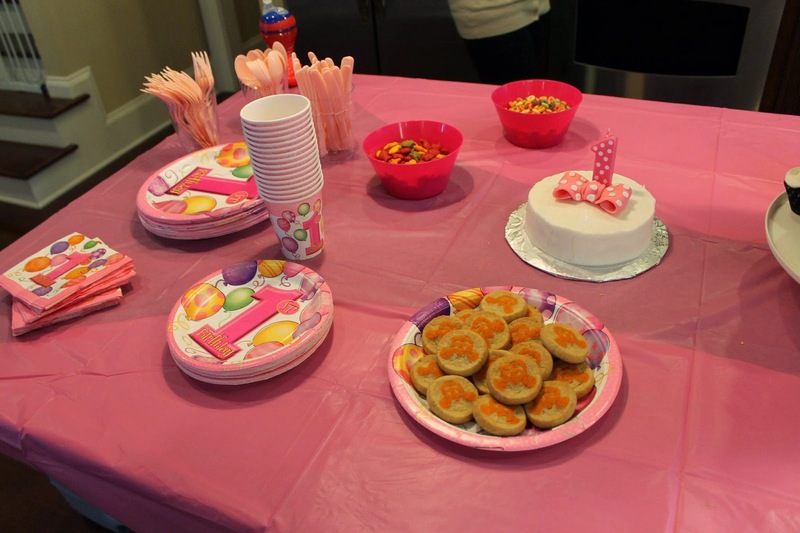 - If I am having my daughter's birthday party at a farm so that I don't have to clean up, she will LOVE it and so will mommy! - This morning was only my 2nd time since coming back from Maternity leave that I haven't stopped to get coffee at either McDonald's or Dunkin Donuts. I am trying to break my addiction. 1 day at a time! 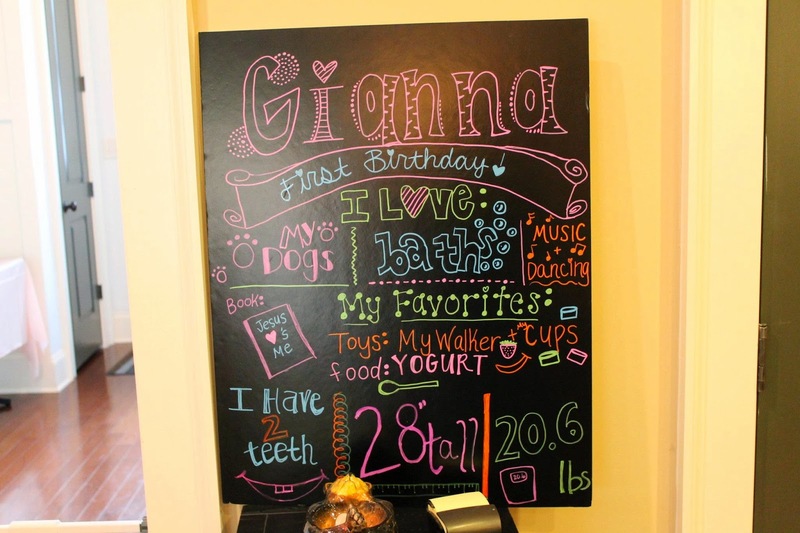 - If I already have a closet full of Christmas gifts for my kids! I am so excited and always love to start shopping early. Very Blessed! 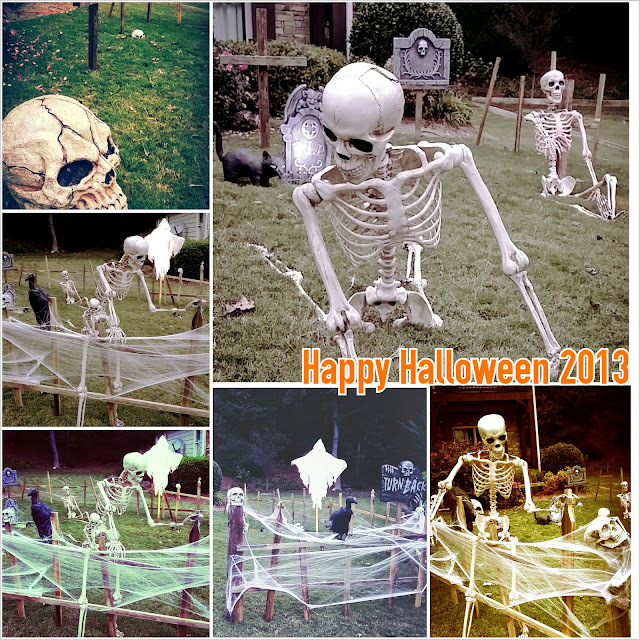 - We just recently finished our Halloween decorations, look at our spooky DIY Graveyard, looks awesome, right?!? - And Lastly, so what if I can't wait until Friday. Miles has his 4 month well visit, so I get to leave early and I have been so super busy I just want a nice weekend without too much driving! Today, is National Pregnancy and Infant Loss Day, a day to remember the babies that we conceived, but never held. One in four women have miscarriages, that is a lot, but still when you are going through it, it seems like you are all alone. Although most women who miscarry do so before they even know they are pregnant, not all do. Some make it a bit into the pregnancy, some make it far, some lose their baby during delivery, some lose their babies early in their lives. Yes, some situations clearly harder than others, all of them are heart breaking to say the least. As most of my readers know, Allan and I worked very hard to become pregnant. It wasn't easy or cheap. We had to do IVF with ICSI and it was a journey. Our 2nd round of IVF ended in a miscarriage and although it was very early on, only 6 weeks pregnant, we lost our baby. We lost the baby before we even knew what it was or got to meet them. It broke our hearts! We still think about that baby. My heart goes out to all the women and men out there who lose a baby during pregnancy, birth or early in their lives. Children are such beautiful, precious gifts and I feel so blessed each and every day to have 2 healthy, happy kids. “When a child loses his parent, they are called an orphan. When a spouse loses her or his partner, they are called a widow or widower. When parents lose their child, there isn’t a word to describe them. This month recognizes the loss so many parents experience across the United States and around the world. 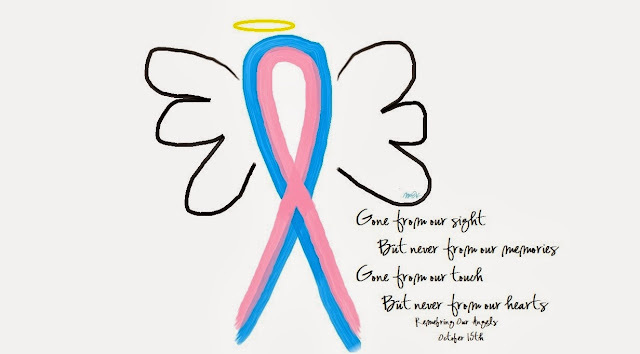 It is also meant to inform and provide resources for parents who have lost children due to miscarriage, ectopic pregnancy, molar pregnancy, stillbirths, birth defects, SIDS, and other causes.” -Ronald Reagan. In exactly 2 weeks we are going to have a 2 year old...say WHAT?!!?! Oh my goodness, seems like just yesterday she was born and as much as she changed the first year she changed the 2nd. Such an amazing little girl and so blessed to be her mommy. 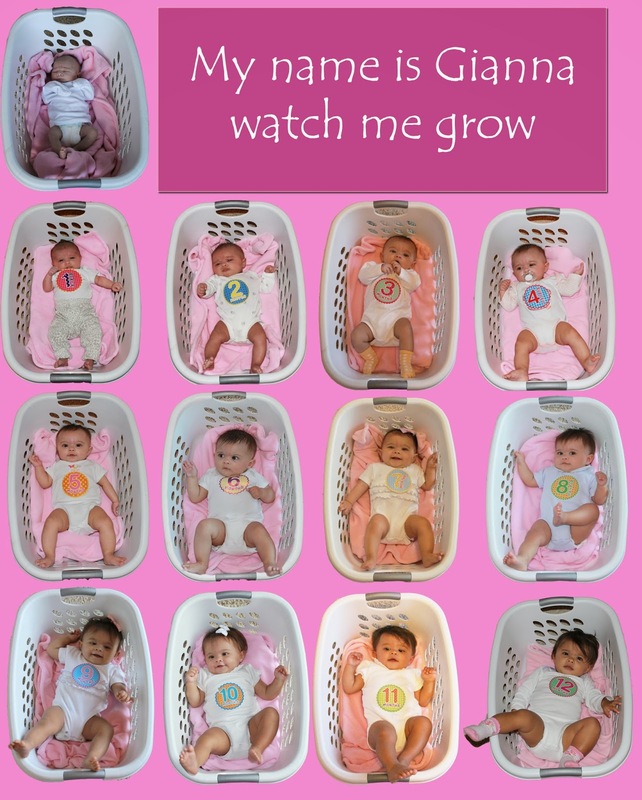 Here is a photo grid we made documenting her first year of growth. 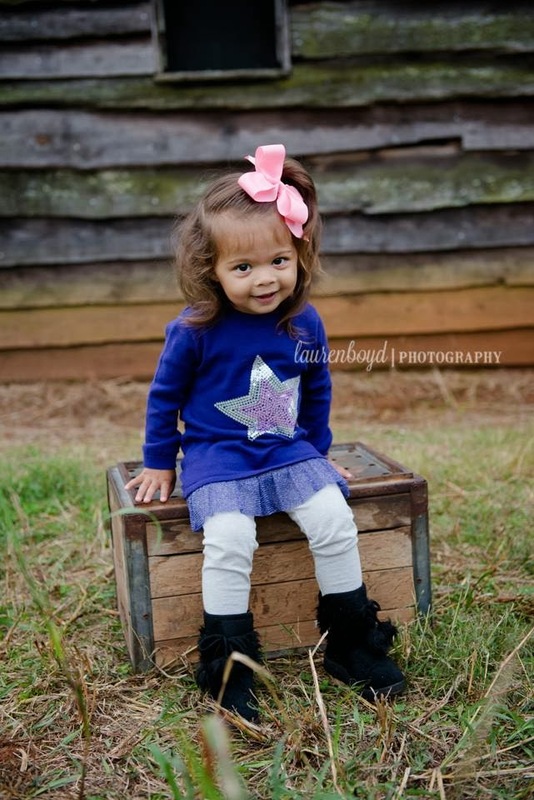 Tomorrow we have family pictures for her 2nd birthday! Terrible Two's here we come, actually we are already there, but they are amazing Two's as well! Excited to be linking up with one of my favorite momma's again, Becky, for this fun post about our other half's. 1. He was born in Canada, grew up in Trinidad (in the Caribbean) and moved to West Palm Beach when he was 16 for college. 2. He is very manly, but feminine at the same time. He will kill a bug with his hand, pick up a snake, build things, etc. But...he also uses fancy, expensive shampoo, loves to look at himself in the mirror and takes longer to get ready than he should. 3. He can function on 4-5 hours of sleep. How? I have no clue, but it is a very regular thing for him. He gets sucked into TV shows and stays p super late then wakes up at the crack of dawn. 4. He needs time to "hatch". He is a slow mover in the mornings. 6. He used to have long wavy hair and a stache! It was intense and I am glad it is gone. This was before me, so I have only seen pictures. 7. He LOVES spicy food. He puts hot pepper on everything! 8. At first, I really believe he was hoping for a son with our first child, but now he is completely consumed and obsessed with his amazing little girl. The bond between a daddy and his daughter is truly amazing. I know his bond with Miles will continue to grow as well, but now I know he is so glad to have his daughter! 9. When I met him, he couldn't even run a mile, now he is knocking out a half marathon like it is nothing, he has come such a long way and you can tell he loves it and so does his heart! 10. Different drinks make him go extreme in different ways. Tequilla, crazy and kind of angry-ish, vodka, funny, Rum, loud & crazy! 11. He literally can fall asleep in 2 seconds. It is weird. We will be having a conversation, say goodnight and 1 minute later I can hear snoring. Ummm....??? 12. 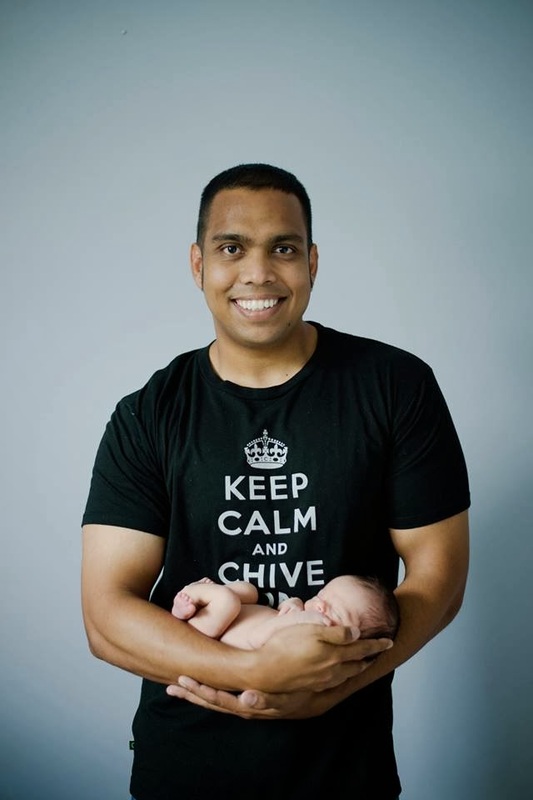 He is a member of the Chivery. Still not quite sure what it is all about...paying it forward and drinking pretty much, but he loves it! 13. He is a true computer nerd. It is his profession and he can literally surf the web for hours! Throw Back Thursday- Tribute to our dating Anniversary! Today is me and my husband's dating anniversary. We met at work, he worked in the IT department and me in Finance. I had just gotten my BFF a job there as an executive assistant to the CTO, so as I was getting her all set up and trained on some things, he was helping with her computer set up. We chatted and continued to chat throughout the coming days. He then invited us to a happy hour. We couldn't make it, because we were going camping. He invited us again, and again we couldn't make it for some reason. The third time he invited us, I believe I had told my friend, "come on let's just go for a little bit so he will stop asking us." Rude much? Why yes I am. So, we showed up to the happy hour and there was no one else there!! He set us up! He made a couple calls and managed to get this other guy to show up. We had a couple drinks, had some small talk and got to know each other a little better, then we called it a night. That was that. We returned to work that Monday and continued to interact, going out to group lunches and talking throughout the day. One day, he asked if it would be ok for him to call me. I said yes. Then, we talked on the phone a few times, sometimes for hours. After about a week of talking on the phone he asked me out on a date. I said yes. Our first date was October 10th, 2008. 5 years ago today! He came to pick me up with a rose. We went to a nice dinner and then we went to this swanky bowling alley. I told him to park at the nearby target that "people park there all the time". Well, yes people park there, while the target is open, LOL. We came out and his car was gone, yep, gone! Oh, and there was a black lincoln town car with a driver sitting in it, eating McDonald's with his window rolled down. He asked us if we needed a ride. Well, yes we do need a ride. Since it was our first date we agreed to leave our cell phones in the car, there was no pay phones around (do those even exist anymore?!) and so spending a fortune to take this town car to the impound was about our only choice. We go to get his car out and laugh on our way back to drop me off. I am so happy that I agreed to go out on that happy hour and later on a date with my now husband. Life throws things at you when you least expect it, and I definitely wasn't expecting him! We did it, we officially completed our first half marathon. The day before the race I was feeling great, I was feeling prepared, pumped and looking forward to race morning. Race morning came bright and early, 4:30 am to be exact and we were up and at 'em. We got to the race right in the knick of time, and then...my nerves kicked in. Stage fright!! I started the race off with the typical crowded slightly slower pace, but still strong and continued strong until about mile 5, then my nerves were kicking in a little more and so were those HILLS! My heart rate was out of control and although I was way more prepared than this...I walked. Only for a minute, then I continued. Overall, I did well! I was super proud of myself. Did I walk? Yes. Was this a little disappointing for me? Yes. But, the hills were GINORMOUS and my training did not train me for that, so overall I finished 13.1 miles in 2 hours and 27 minutes and prior to training began my goal was 2:30, so I achieved my goal even including my brief stents of walking. 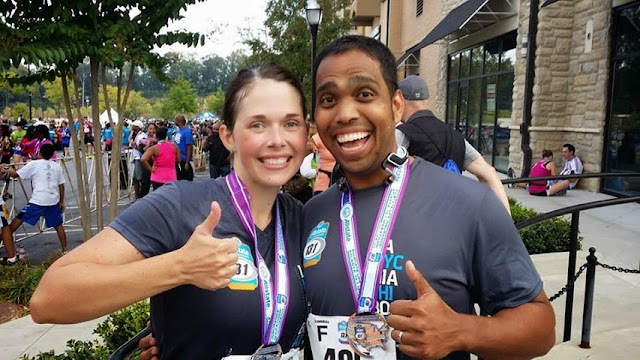 So not only did I complete my first half marathon 3 months post partum, but I also marked one of my 30 before 30 things off my list already (more to come on that). Oh, and did I mention the husband? He did AMAZING!! He did not walk one time, he killed it! But, he was out running while I was at home pregnant stuffing my face! Bahaha, no but seriously, I couldn't be more proud of the little runner he has become. And, we are so Cray Cray that we are thinking of signing up for another one Thanksgiving morning down the street from us, while the bird is in the oven of course! 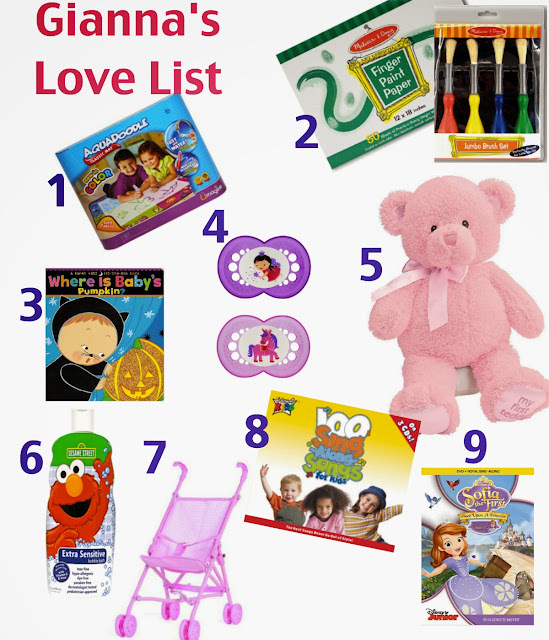 Since this is my baby girl's birthday month and it is all about her, I decided to put together a small list of some of her favorite items. 1. Aquadoodle Mat- I bought this for her thinking she would enjoy it and she does, it is one of her favorite toys to sit with daddy and trace her hands and feet and the best part is- no mess! 2. Art supplies including finger paint and art brushes and giant paper to work on. She loves making beautiful art work and coloring in Coloring Books. 3. Books- she loves, loves, loves them. It is part of our bed time routine and I love getting her ones that go with the current season because right now she is like a sponge and soaking everything up! 4. MAM pacis or nonis as we call them in our house. She still loves them when sleeping! 5. My First Teddy- this and her blankie are NECESSITIES at night before bed. "Bankie and Teddy" and she knows if it is not the right one. 6. Bubble Bath- I mean what kid doesn't like bubbles, right?! 7. Play Stroller- she loves pushing her teddies, her baby doll, Elmo and her baby brother around in this. 8. Music- This kid loves to jam out, singing and dancing and just having fun to music. 9. Princess Sofia DVD - probably her favorite show right now. Great to help her wind down before bed. This week I am linking up with Becky again to talk about the meaning of marriage. To me, marriage is big, it is huge, it is scary, it is amazing, it is tough and man, is it beautiful! Marriage means so many things to me, growing up and seeing my parents have not the worst, but definitely not the best marriage and watching it end after so many years was heart breaking to me and I can only imagine after spending 23 years with someone how it must have felt to them- well mainly my mom who still wanted it to be forever. That's why to me, marriage was scary, but also exciting. I entered it with a full heart, a hopeful heart and a willing heart and after only 3.5 years it has already proven to be quite the journey. First off, marriage, to me, means commitment & fidelity. When you say those magical words, "I do", you are making the promise to be with that one and only that one person for the rest of your life, through good times and bad. Through those good and bad times there will be many where you have to compromise. Marriage is all about compromise. You are going to have differences and that's ok. Sometimes you have to give in to them and sometimes they will have to give in to you and sometimes you may just have to agree to disagree. Sometimes in marriage you will also have to sacrifice. Wether it be your summer vacation so you can go visit his family, your career goals to start a family or as simple as your monthly shopping budget to pay for an unexpected bill. There are so many situations that will force you to sacrifice for the sake of your spouse or just for the sake of your marriage. This brings me to my next point. Marriage is about friendship, partnership & team work. I truly believe that couples & families who do things together, stay together. We grocery shop together, we stay active as a family, we go to swim lessons and ballet classes all as a family. There are times when we can't all be there, but all being there is "our norm". Marriage means work too! Just like with any friendship, you have to work to maintain it, you have to work even harder to maintain a marriage. 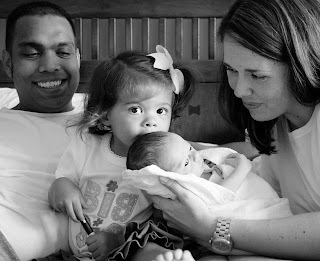 For us, we got right into starting a family, so sometimes our marriage got pushed to the sidelines. You have to remember the reasons you fell in love sometimes and get back to those basics. Sometimes it is easy, sometimes it is extremely difficult, but it is definitely a full time job! Last, but definitely not least, marriage means forever, eternity & always! I pray to God that my marriage lasts forever, I pray we are able to maintain our values, our friendship and our marriage. Our marriage is the foundation of our family, our beautiful, amazing family! I am so beyond blessed to have met and married a wonderful man and each and every day I pray that our love, friendship and commitment last forever! My Half Marathon is finally here. It seems like just yesterday I signed up, maybe because it actually wasn't that long ago. I cannot wait to cross the finish line (post to come). Here is a list of my favorite's that have gotten me through my training. 1. My shoes- Asics. These shoes are lightweight,but provide a nice cushiony support. 2. 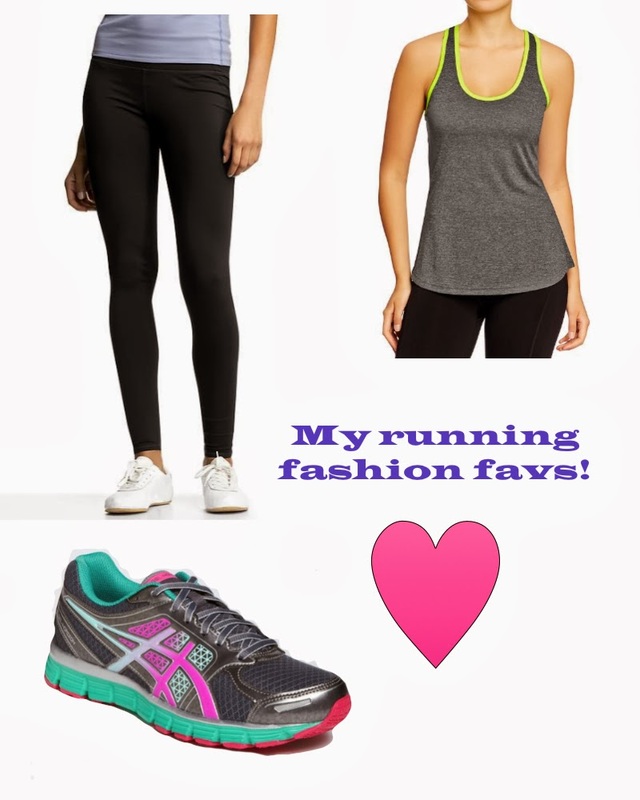 Gap G Fast Leggings- my fav!! I swear they make me run faster, LOL! 3. Old Navy workout tops. Affordable, super comfortable and chic! It is finally officially October, one of my favorite months of the year and probably the most jam packed. Apple picking (again) tomorrow morning. For the first time I peed on a pregnancy test this month after 16 weeks of not having my cycle and thought, "oh dear lord, please don't let me be pregnant again". Crazy to think of how many times I peed on one and wished so badly for it to say yes, but thank goodness it was a no and since my lovely "Aunt Flow" has decided to make an appearance...(Now, can it go back away, lol) I am just not ready to have another baby, two under two is no joke, I love it, but I am happy with the way my family is right now...and maybe forever??!!? 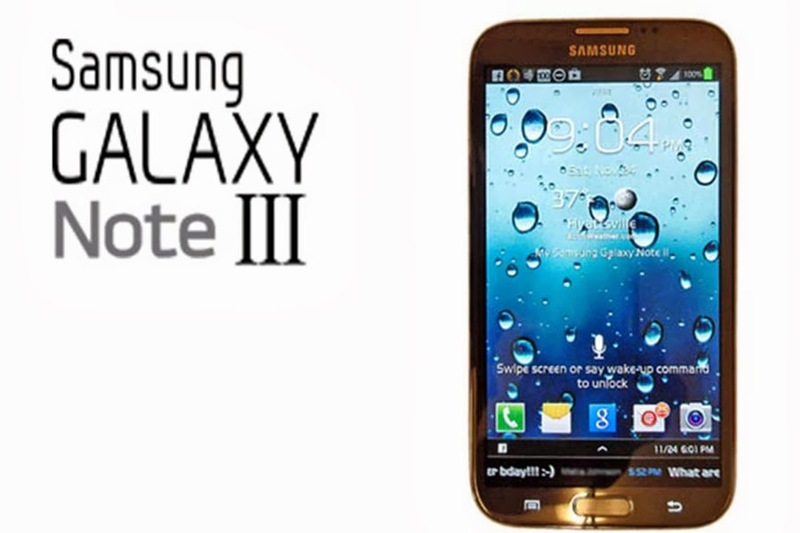 My husband snagged this Samsung Note III this week and will not stop smiling. Love my techy guy! I don't know, I am pooped, it has been the longest week at work ever. I missed my bike class, I missed my hot yoga class, I am feeling distraught about both of those things, but I am so happy it is Friday. I am looking forward to ballet class tomorrow morning, then apple picking, then pasta for dinner, because oh, did I mention...I am running a half marathon this weekend! Yeah that! Cheers to the weekend!!! Last month of my little girl being 1!